What is Soccer or Football? What is Soccer? or What is Football? I the title, I have write "What is Soccer or What is Football? ", Do you know why?. Most of the countries of the world "Football" known as Soccer. And there are some country or region where if you say Soccer they will say, What is this? that means they haven't heard this word before you. For this I have write this title. What is Soccer? or What is Football? 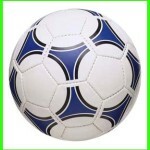 I the title, I have write "What is Soccer or What is Football? ", Do you know why?. Most of the countries of the world "Football" known as Soccer. And there are some country or region where if you say Soccer they will say, What is this? that means they haven't heard this word before you. For this I have write this title. Soccer is a sport played by two teams of 11 players on a rectangular field, in which players attempt to knock a round ball through the opponents’ goal, using any part of the body except the hands. Generally, players use their feet and heads as they kick, dribble, and pass the ball toward the goal. One player on each team guards the goal. This player, the goalkeeper, is the only player allowed to touch the ball with the hands while it is in play. What we know as soccer today, which was started in England. The word “soccer” came from England, although the people in England call the game “football“. It is played on a very large grassy field. There are ten players on a team and one goalie. The goalie tries to keep the ball from going in the goal post. If one team gets the ball in the other team ’s goal, they get a point. To get more information read How to play Football? In soccer, a player cannot catch the ball with his hands. The player must kick the ball with his feet, bump the ball in the air with his head or stop the ball with his body. The goalie can catch the ball to stop it from going into the goal. Hope you understand what is football and what is soccer from this post. Knowledge World: What is Soccer or Football?